Let’s talk about quinoa. I came across this tasty little grain a little over 2 years ago and now can’t imagine cooking without it. 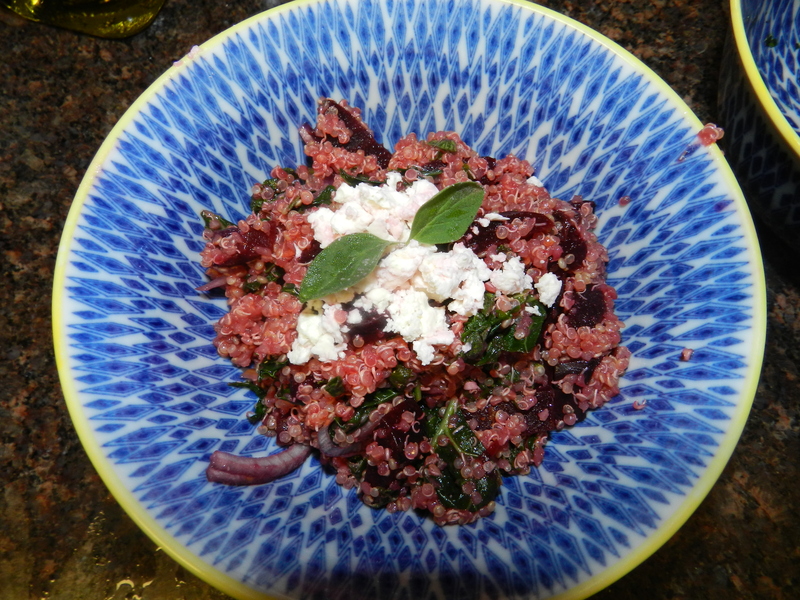 Quinoa has been around for ages and originated in the Andean region of South America. These tiny little seeds are considered one of the most nutritious whole grains you can consume. Quinoa’s mild nutty flavor provides for an extremely versatile ingredient to cook with and will take on many different flavors. It can be used to make breakfast “oatmeal”, pilafs, risottos, salads, soups, and even desserts. When I first introduced this superfood to my husband he was like, “what the heck is this, I am not eating that.” He quickly changed his mind once he took one bite and now it has become a staple in our weekly meals. Here is one of my favorite recipes from Tastspotting (I added a few ingredients). 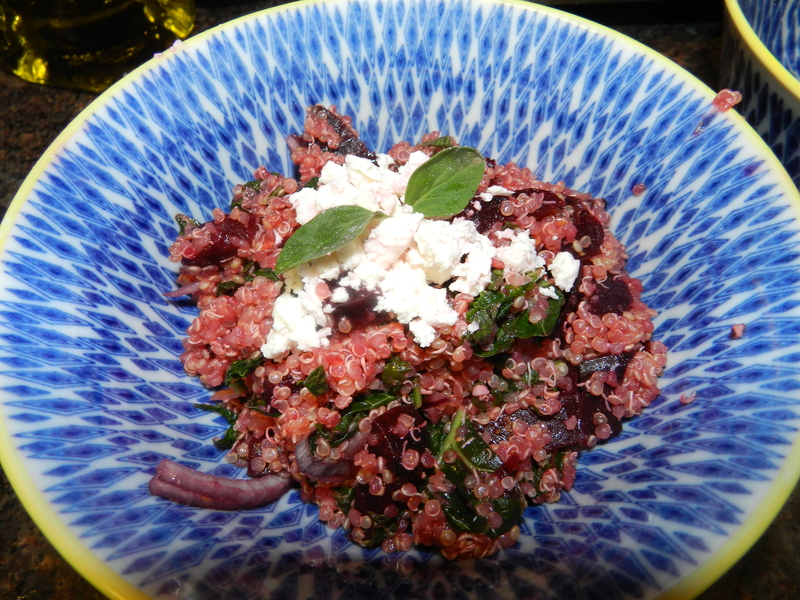 It is simple, refreshing and incorporates my other two favorite superfoods … kale and beets! Make it for dinner and pack the left-overs for a tasty lunch the next day. This recipe also makes for a wonderful meal during Friday’s of Lent because you will get all the protein you need without eating meat. Wash and peel beets. Cut in half and rub down with a little grapeseed oil (or olive oil). Season with salt and place in the oven to roast for 40 minutes. While beets are roasting cook the quinoa. Rinse quinoa with cold water before cooking. Bring 1 cup of low sodium organic chinken broth, 1/2 cup of water and 1 Tbsp of garlic to a boil. Add quinoa to boiling water. 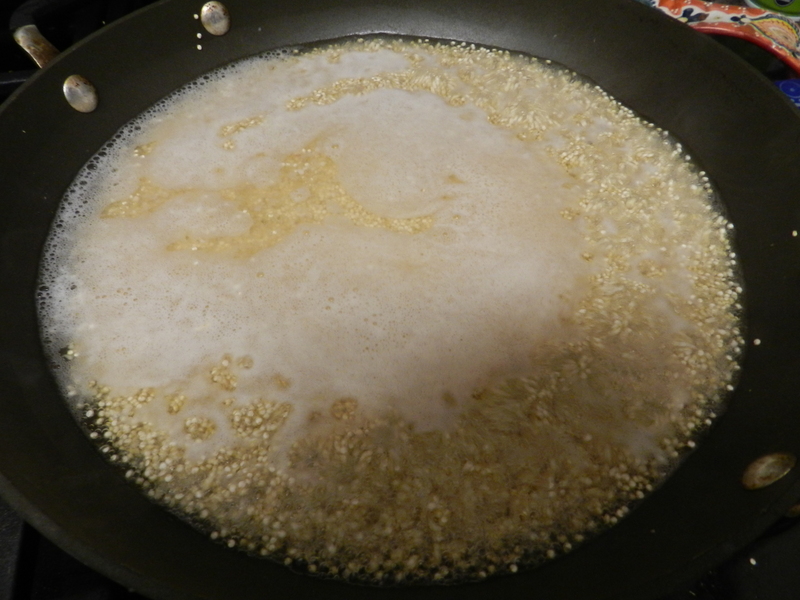 Cover and simmer for 12-15 minutes until all liquid is absorbed into the quinoa. 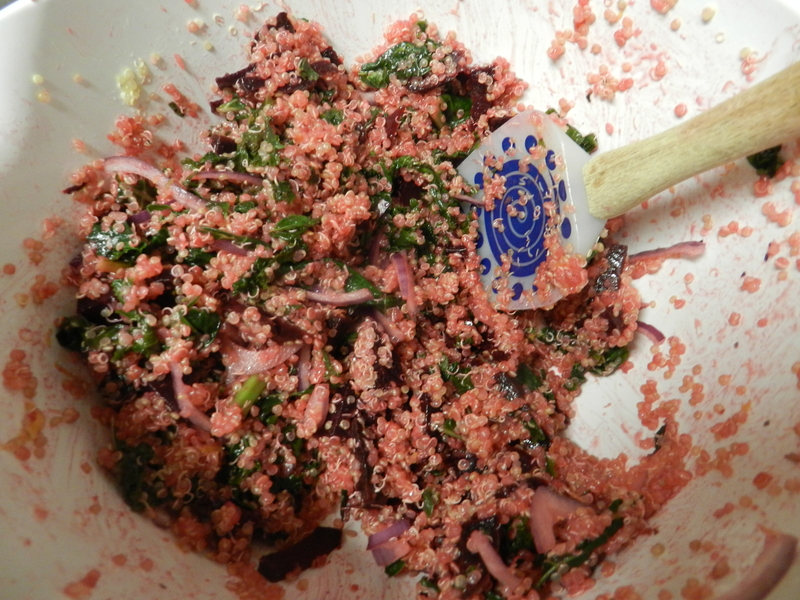 While quinoa is cooking add 1/4 cup of water and 1 Tbsp of minced garlic to another sauce pan. Bring water to a simmer and add kale. Simmer for 4-5 minutes until kale begins to wilt. 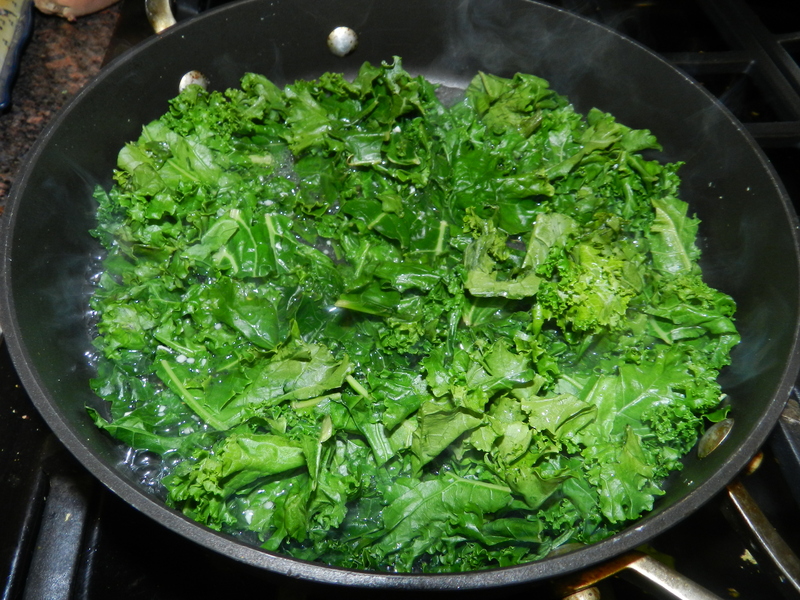 Remove kale from sauce pan, drain excess water and set aside. 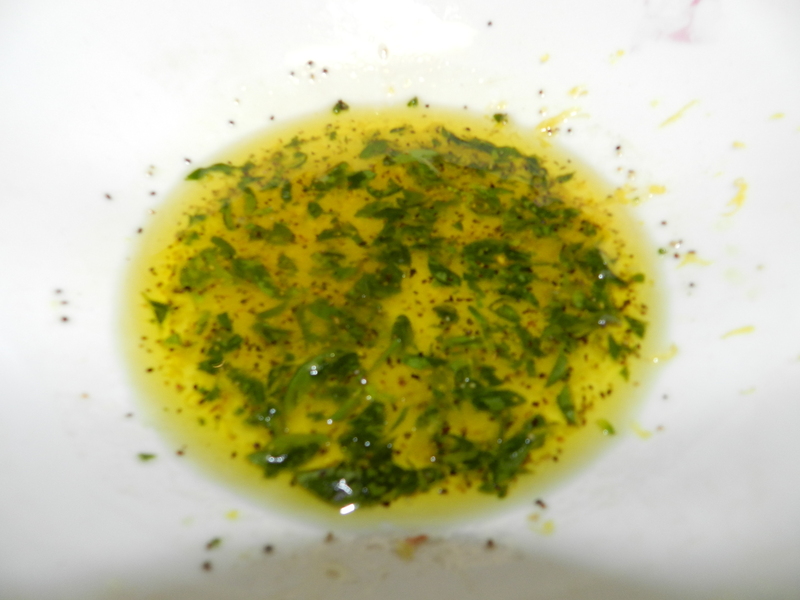 Add lemon juice and zest, olive oil, oregano, salt and pepper in a bowl and mix together. 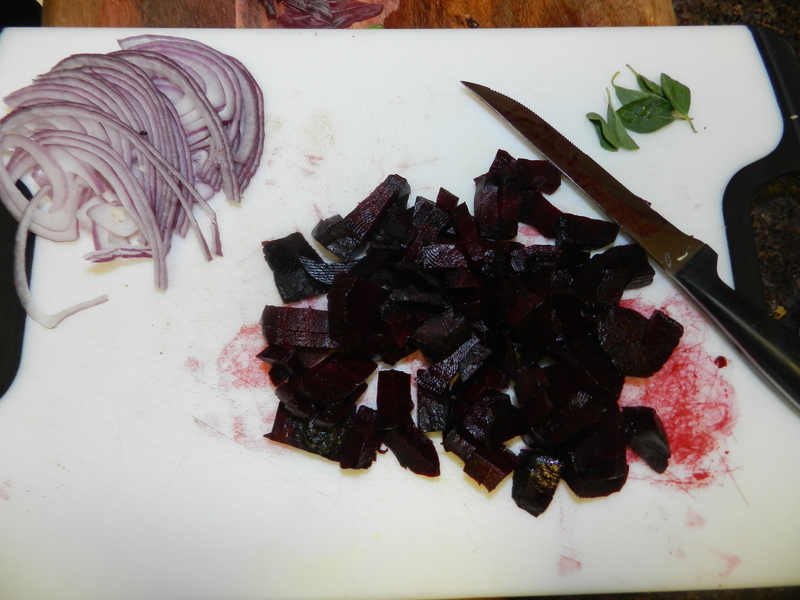 Once beets are done and cooled, cut into small pieces. Slice red onion into very thin slices. 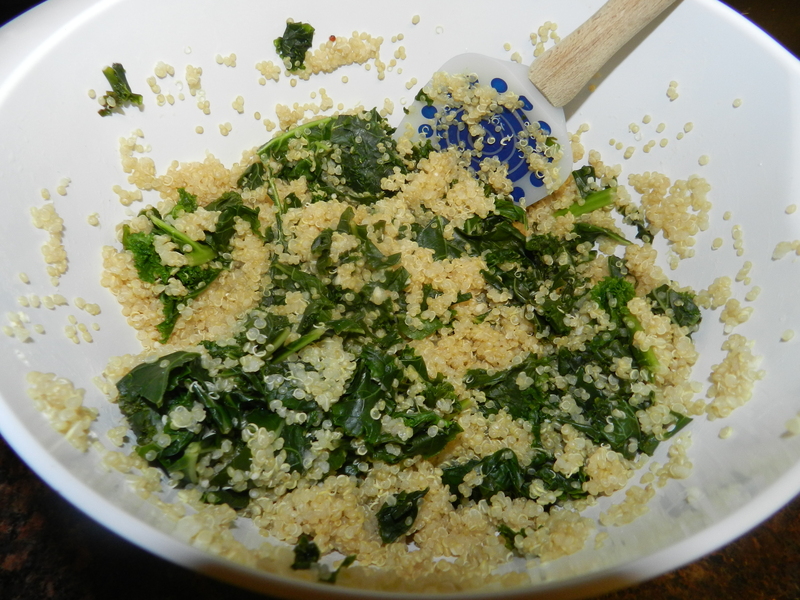 Once kale and quinoa have cooled, add all other ingredients and mix. Add a handful of feta and serve. For more flavor I added 1 Tbsp of my homemade Balsamic Dijon Vinaigrette. This entry was posted in Food, Uncategorized and tagged Balsamic Dijon Dressing, Beets, Gluten Free, healthy living, healthy recipes, heart health, kale, Lent, Low-Carb, Quinoa, Vegetarian Dishes by find your healthy haven. Bookmark the permalink. I am going to cook up some of this deliciousness tomorrow! KALE is 10baht (30 cents!) here so I’m loving the kale recipes — Keep it up, Ker! Yay!! Maddy I miss you like crazy!